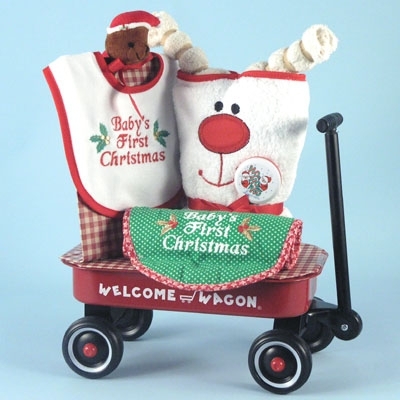 Celebrate the joy of Baby's First Christmas with this cute "Welcome Wagon" of holiday goodies. 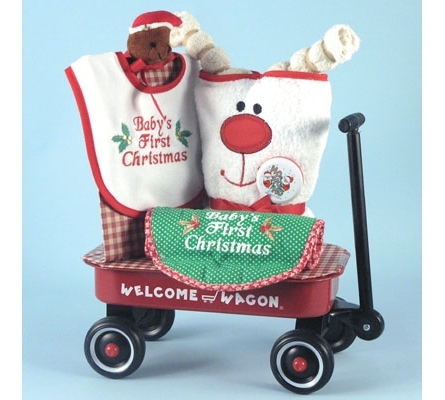 Our classic red metal wagon with plastic accents is the perfect toy to give baby this holiday season. 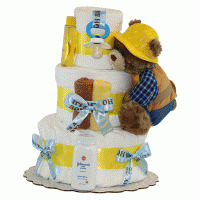 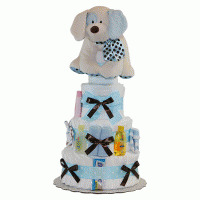 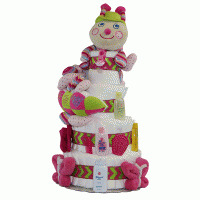 It comes filled with essential holiday themed layette items that mom and dad will love.